Top seed India's Murthati Suresh won the Over 55 men's singles title beating Lankan ace Suresh Subramaniam 4/6, 6/1, 4/1 Ret in the final as the Sri Lanka Open ITF Senior Tennis Championship concluded at the Sri Lanka Tennis Association clay courts yesterday. Subramanium bounced back strongly and won the second set after losing the first set to Murthati, but was unable to maintain consistency and conceded the victory retiring in the third set. But the Lankan duo, Subramaniam and Dan Mukunthan clinched the Over 55 doubles title when they beat their Indian counterparts Tahir Ali and P. R. Raju 2/6, 6/3, 6/10. Lankans recovered from a shocking first set defeat and sealed their victory by winning the following two sets. 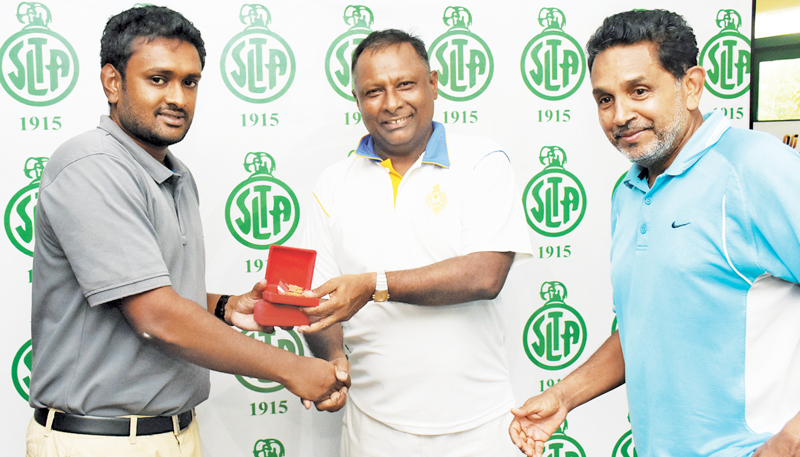 The five-day tournament was commenced on August 2 and concluded yesterday with Sri Lanka gaining remarkable achievements.